On a quiet Wednesday morning below Hoover Dam, a tame Colorado River flows between high canyon walls to Arizona, California and Mexico. 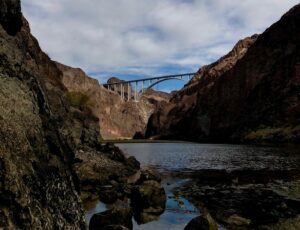 Exactly how much water snakes through this part of the river is determined by carefully-planned releases from the country’s largest reservoir, Lake Mead, which flows through the dam for downriver farmers, cities and tribes. It is hard to fathom, but there is a possible future in which this section of the river — the source of water for millions of Americans from farmers in the Imperial Valley to residents of Phoenix — could dry to a trickle. That doomsday scenario, if it happens, is still far away. But without cutbacks to water use across the Southwest, it could one day play itself out, especially under drier hydrologic conditions driven by climate change. And it’s scary enough for Las Vegas, which gets 90 percent of its municipal water from the Colorado River, that the city has been spending big money to hedge its bets. Since a nearly two-decade drought began in 2000, the elevation of the snowpack-fed reservoir has fallen about 140 feet. If it falls another roughly 180 feet, the amount of water in the reservoir will be lower than the outlet at Hoover Dam. At “dead pool,” the point at which it would be physically impossible to release water from the dam to the river, no water would make it past Lake Mead, halting the flows of a key Southwest water supply far from its delta. That water users would let the system crash to dead pool is unlikely. To let the once wild river stop at the dam’s edge would be a political and ecological disaster. But the improbable scenario is still one Las Vegas is working to secure itself against. 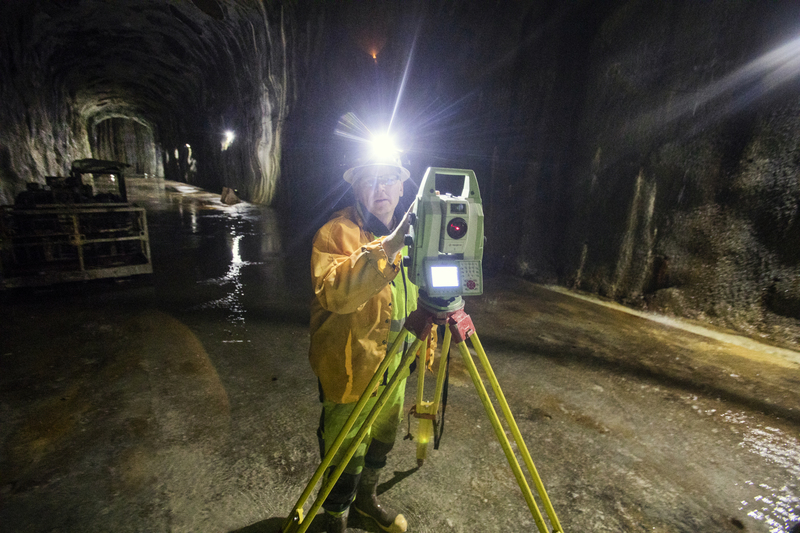 On Tuesday, thousands of yards upstream and about 300 feet below the reservoir’s surface, water authority contractors continued working underground on a pumping station that would protect the city from dead pool if Lake Mead ever dropped to that point. Experts who study Colorado River politics have said that the infrastructure project has changed Las Vegas from one of the least secure cities on the river to one of the most secure cities. When it is completed in 2020, Las Vegas would be the only water user in the lower Colorado River basin that could get water under dead pool conditions. 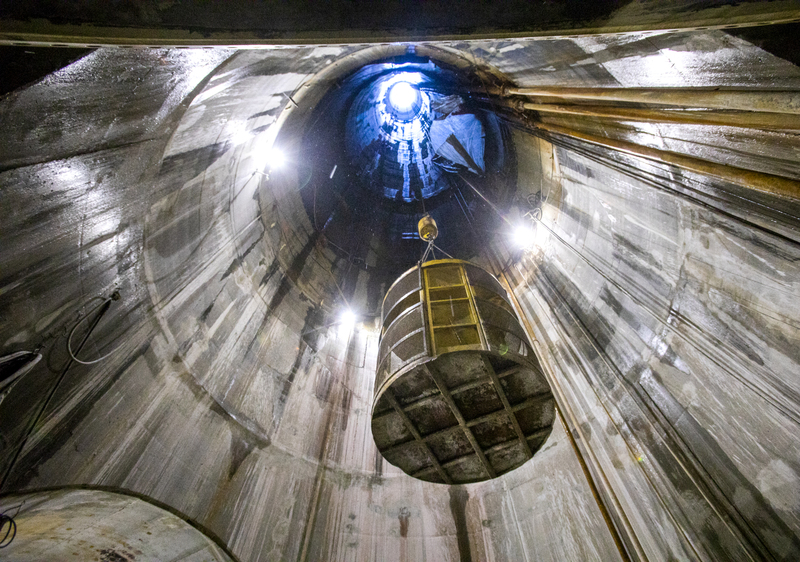 The pumping station will connect to the water authority’s so-called third intake, a straw that allows for access to water deep in the reservoir. Together both projects are expected to cost about $1.35 billion and will give the water authority the ability to pump water below dead pool. But the worst-case scenario is not the only reason the water authority wanted the intake. 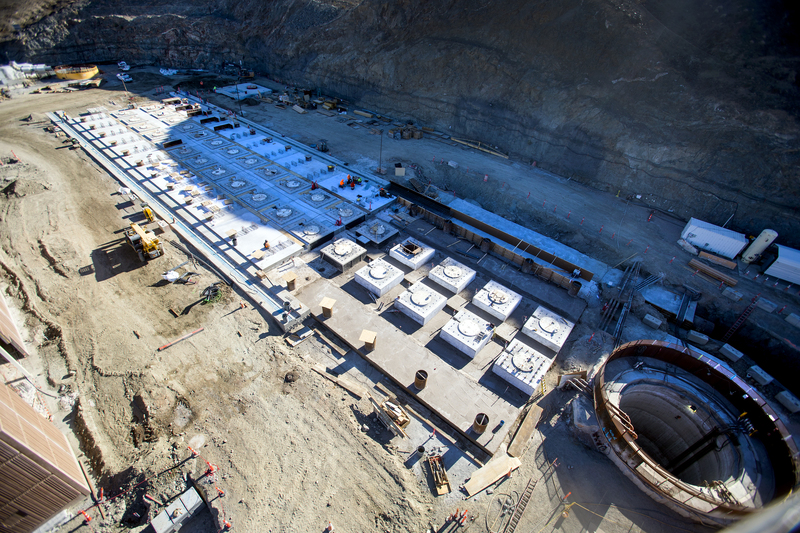 Chief among them is that the water authority’s current pumping infrastructure — at 1,000 feet above sea level — will become inoperable even before the reservoir hits dead pool, which will occur at 895 feet above sea level. The reservoir’s surface currently sits at about 1,078 feet. The station will also allow the agency to access colder, higher-quality water in the reservoir, which is easier to treat. 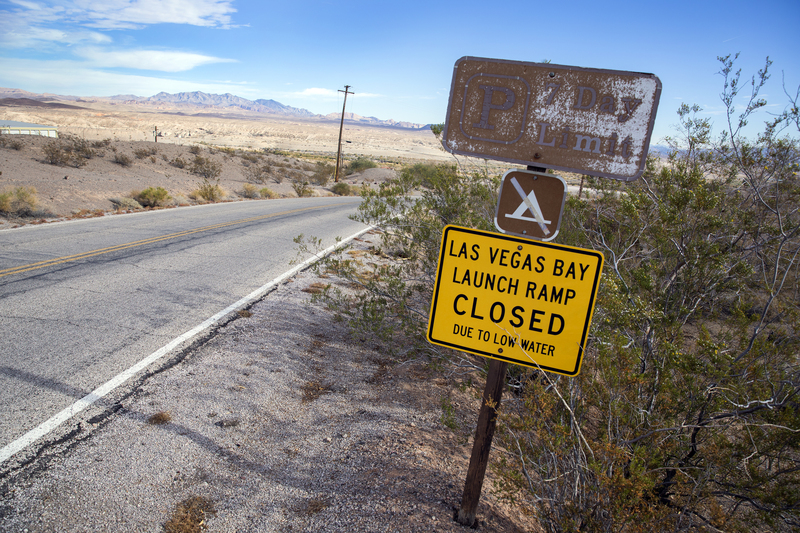 Before the third intake was completed, Las Vegas was at risk of having nearly its entire water supply cut off if the reservoir fell below 1,000 feet. That meant no water to a metropolitan area of more than 2 million. Now with the completion of the pumping station, Las Vegas will have a security that no other Lake Mead water user has: the ability to take out water at dead pool. Fleck and other Colorado River experts are confident that water users will avoid letting the lake fall to dead pool. It would mean no to little water for farmers with senior rights in California. It would further degrade the ecology for a huge portion of one of the West’s most storied rivers. And it would cut off a cheap hydroelectric power resource that benefits most of the Southwest. Dead pool, if reached, would not necessarily be a static state. It is possible the reservoir could dip below dead pool but recover amid improved snowpack or even more quickly if water users took extreme cuts to their supplies. Still, being in dead pool would cause a serious disruption to the river system. “The goal has to be reducing the use of water,” Fleck said. For several years, the seven states in the Colorado River basin have been negotiating a plan to voluntarily conserve water to stabilize the system amid drought and overuse. Arizona, California and Nevada, the states that rely on Lake Mead, have been working on a “Drought Contingency Plan” to leave more water in the reservoir. The goal is to prevent the reservoir from falling below 1,025 feet above sea level, at which point the federal government could require severe cuts. After one of the driest winters on record last year, the Colorado River Basin has seen improved hydrology in the early months of the season. 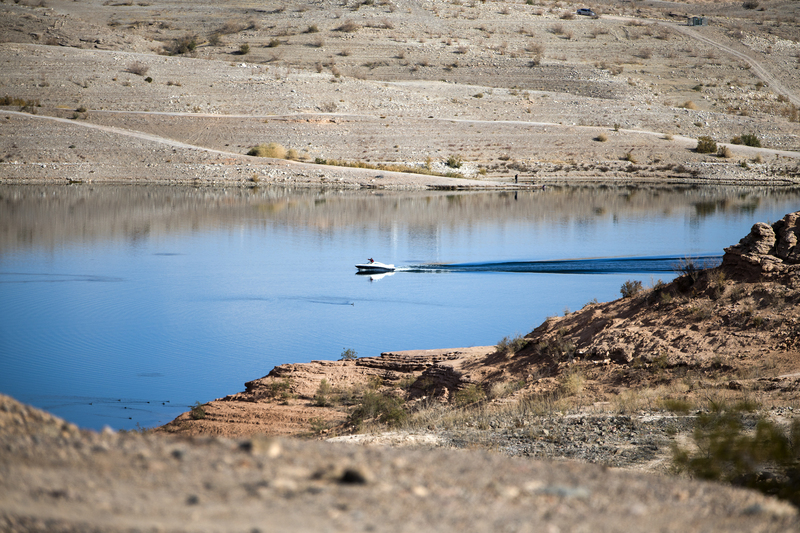 According to a recent forecast from federal water managers, the U.S. government could call a shortage declaration for Lake Mead as soon as 2020. The water authority, which is already using less water than it is entitled to, has said it can weather those shortages because of conservation measures including paying residents to remove grass. In making the case for the drought plan, the threat of dead pool has crept back into the lexicon as the absolute boundary to avoid. In May, the head of the Bureau of Reclamation, the federal agency charged with managing western water, used the term in a sobering presentation to California farmers. Reclamation Commissioner Brenda Burman told leaders of the Imperial Irrigation District, a power player with protected rights to Colorado River water, that their senior rights could be frustrated by dead pool, the worst-case scenario in hydrological modeling. Despite Nevada signing off on the drought plan, negotiations in Arizona and California hit roadblocks earlier this year. But negotiators in both states appeared to make progress on Thursday when a Southern California judge denied a legal request to stop the Imperial Irrigation District from signing off on the plan and Arizona officials unveiled a potential compromise plan. Layered on top of these conservation efforts is a looming threat: climate change. A paper this year showed that streamflow in the Colorado River has fallen 15 percent over the last century, with half of those decreases attributed to higher temperatures, the most apparent signature of human-caused climate change. 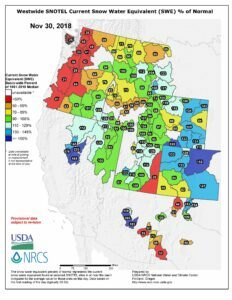 If streamflow through Colorado, Utah and Wyoming continues to decrease, it would mean less water for an already-overtaxed river system. 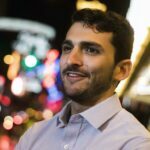 Climate change was one of the reasons the water authority felt it necessary to prepare for the worst, said water authority spokesman Bronson Mack. The pumping station is still more than a year away from completion. Yet construction crews, working for the past three years, are nearly ready to remove a massive steel bulkhead and flood a forebay with water from the reservoir. “About 275 feet of water is being held back by that bulkhead,” said Jordan Hoover, the project manager for the water authority’s general a contractor, Barnard Construction. On Tuesday, about 300 feet below Lake Mead’s current elevation, pumps cleared groundwater that was seeping into the cavern. The hot water, in an area with high thermal activity, has scored the sides of the cave with calcium and iron deposits as it has dripped down the cave’s 40-foot walls. In the coming weeks, construction crews plan to remove those pumps, allowing groundwater to fill the area at a rate of roughly 500 gallons per minute. 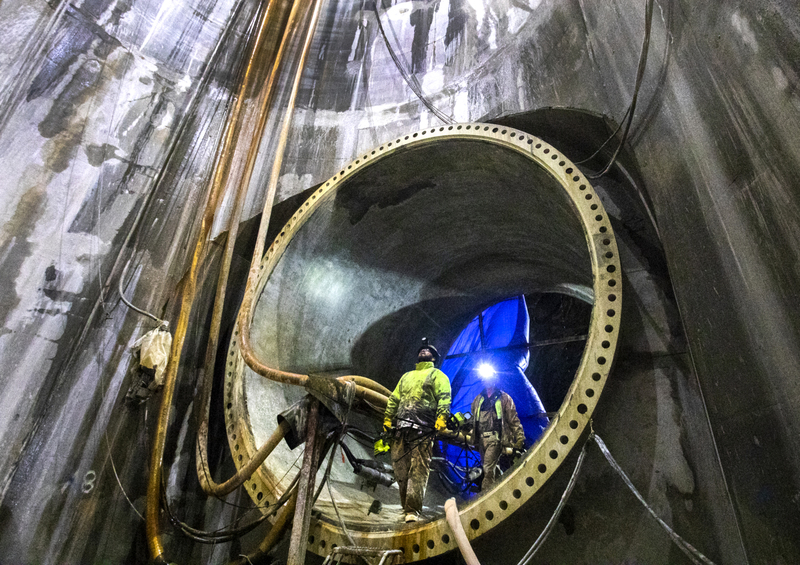 Then, using a submarine, the contractor will remove a bulkhead holding back water from the reservoir, a key milestone. But the site will still not be operable for many months until pumps are installed and a substation is built. South of Lake Mead, water still flows out of Hoover Dam and downstream. If the worst-case scenario played itself out and water one day stopped snaking past the dam, river-dependent cities and Southwest agriculture would not be the only collateral damage. Dead pool would cripple the environment to the south, adding the absolute insult to injury for many environmentalists who already decry dams as unnatural obtrusions. Correction (12/2/18 at 2:40 p.m.): This story has been corrected to reflect that the water authority’s current pumping infrastructure will become inoperable even before the reservoir hits “dead pool”, which will occur at 895 feet above sea level (not 895 feet below sea level, as the original story stated). We regret the error.